Pay attention. The altcoins are some of bitcoin’s biggest rivals. This year has been touted as a “long-lasting crypto winter”. Just look at a brief history of crypto’s biggest coin for context. Sure, Dec. 1, 2017, bitcoin marched past the $10,000 mark. By Dec. 16, bitcoin leaped to roughly $21,000. Eager crypto investors wondered: could the coin rocket much farther beyond $20,000? That’s when the bearish trend first broke. Bitcoin led the great crypto-crash that closed out 2017, under $14,000. By June 28, bitcoin hit a low of $5,871.28. Bitcoin’s plunge in momentum has popped the crypto balloon right along with it. Today, the crypto universe’s total market cap sits around $294 billion. This is compared to a peak of $828.54 billion on Jan. 7. Still, any crypto enthusiast will tell you “what comes down might as well one day swing right back up”; and bulls will be waiting to reap the profits when a comeback resurges. Why bet on altcoins? Bitcoin may be the leader of the pack, but some coins are quicker in transaction confirmation. 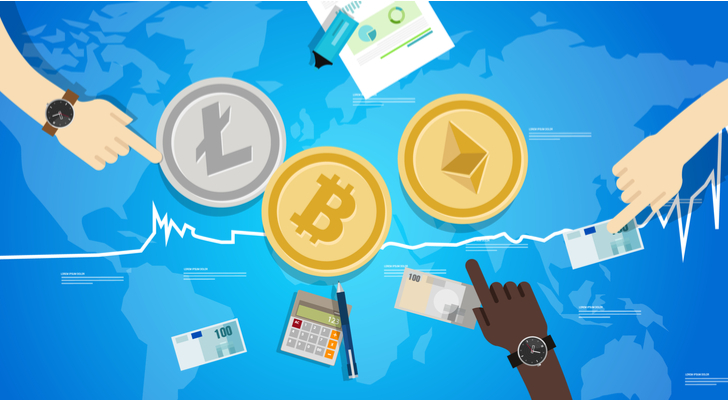 Based on new data from New York-based law firm Foley and Lardners, insiders polled didn’t pick bitcoin as the strongest investment of the crypto world — the majority chose the top altcoin ethereum. Using the screener platform at CoinWatch.com, we scooped the latest data in the roller-coaster crypto market. Our prediction: five altcoins are poised to make an epic turnaround this year. Let’s take a closer look. Today, ethereum (CCC:ETH-USD) trades at $450.42 with a $45 billion market cap, making it the king of the altcoins. In other words, ethereum takes a 17% slice of the crypto-verse’s total market cap, indicating its dominance in the sector. The altcoin leads as the crypto-verse’s second-biggest coin (next to bitcoin). Before the “crypto winter” froze momentum for the blockchain frenzy, ethereum had notably spiraled up to $1,385.02 on Jan. 13. Over the past year, ethereum has seen a 130% rise. The coin acts as an open-source software platform using blockchain technology. 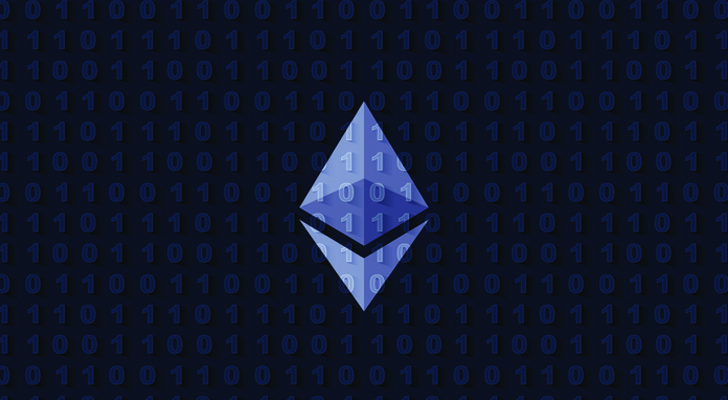 Showcasing smart contract functionality, ethereum allows developers to both build and deploy Decentralized Applications (DApps). The last week has seen ethereum drop roughly 25%, but despite this craziness, crypto investors really want to know if it is a compelling long-term investment. Ethereum’s transaction volume in its developer activity over the last 24 hours is $123.8 million. If that number continues to vault, it’s a positive signal speaking to the strong long-term potential here. Regarding a dynamic market for users, also consider ethereum’s utility value. After all, facilitating developers building DApps, ethereum offers a system of smart contracts that could boost the computational prospects on the back of its blockchain. Co-creator Steven Nerayoff’s prediction for ethereum’s valuation by the close of 2018: expect it to triple. The coin boasts a powerhouse capacity for processing transactions inexpensively, and at a fast pace. Whether the coin can race past crypto leader bitcoin is a different question. Either way, Neryaoff looks for rising crypto intrigue to bode positively for ethereum’s value this year. A “flip” could be set off this year as project numbers step up — one that may even see bitcoin get toppled. As far as Nerayoff sees it, more users mean a hike in projects built on ethereum, and likewise, a jump in programmers. 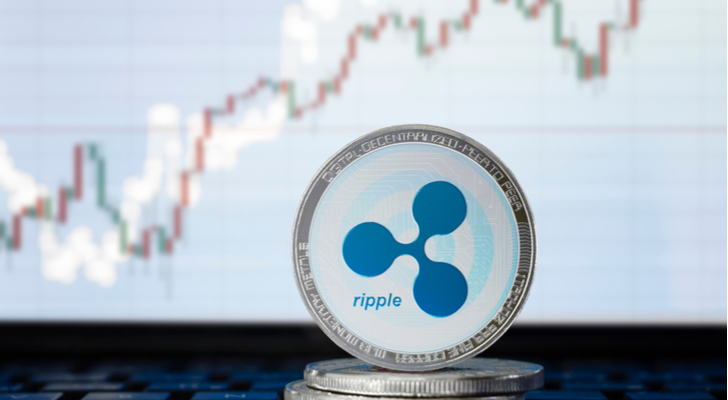 Ripple (CCC:XRP-USD) stands as crypto’s third-leading coin, trading today at 43 cents with a $16 billion market cap. The coin’s transaction volume over the last 24 hours hit $9 million. Notably, back in its heyday on Jan. 6, 2018, ripple once towered at $2.78. Ripple’s token XRP is different from the likes of bitcoin and ethereum, as it is not mined. Even though bad press has plagued the coin (multiple legal scandals over the past three months), this hasn’t stopped ripple from leading as the second most valuable altcoin. Ripple CEO Brad Garlinghouse has defended his coin stating that “XRP is solving a problem. There’s no utility in a security.” Whether ripple’s XRP token is legally judged as security or not may not matter in the bigger picture. After all, Coinbase just declared a green light on regulatory approval for listing security tokens. Worthy of note, ripple’s xCurrent technology is well-liked. The technology has hooked global adoption from financial institutions as an accepted money transfer system. Not too bad for a coin that started 2017 with a valuation that was well under a penny. Since then, it has experienced a rapid-fire 8,400% upturn, which is precisely what makes ripple one of our altcoins to watch in 2018. In fact, ripple has already outclassed ethereum once, taking its spot as the second-most valuable coin in the space. Stellar (CCC:XLM-USD) has experienced an upbeat week lately, as its recent up-trend has placed it in sixth by market cap ($5.2 billion). 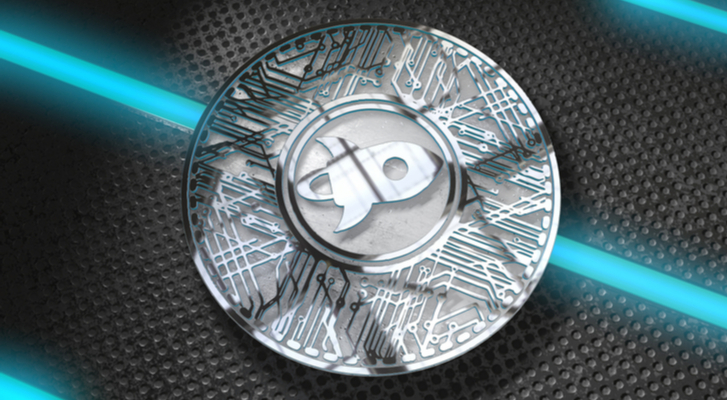 Stellar’s valuation has grown 57% in the span of seven days. Bullish buzz is floating, stirring up stellar sentiment. Locking its eyes on toppling ripple, stellar just joined forces with payment provider Tempo to bolster its worldwide payment platform. Tempo will use stellar’s decentralized exchange platform with the goal of transforming the worldwide payment space. Another point in stellar’s favor in the last week: Coinbase revealed stellar has landed among its five prospective new listings. It’s not easy to get approved listing on the biggest U.S. crypto exchange platform (Coinbase keeps a wary eye on regulations), so this marks a huge win for stellar. Francisco explains that whereas bitcoin’s purpose functions “as a store of value,” litecoin is primed to become “one of the first real world cryptocurrencies to be used to purchase goods and services.” Look for 2018 to see the coin either “retesting” or “breaking” its last record price peak. Neo (CCC:NEO-USD) has earned its spot as No. 11 in value among the crypto leaders. The altcoin nicknamed the “Chinese ethereum” and China’s “ethereum killer” reached a price of $31.8 today, with potential to boom. The “first ever” open-source public blockchain in China (previously branded as Antshares) could rise in the rankings, especially as a regulatory-friendly decentralized app platform. Neo’s Onchain technology prioritizes meeting tough Chinese regulations. The reason ethereum’s co-creator Buterin wants to enhance his coin’s scalability is because the coin has an overarching challenge: clogging. Neo’s blockchain uses a different consensus algorithm from ethereum’s proof-of-work consensus mechanism: Delegated Byzantine Fault Tolerance (dBFT). It’s simpler and translates to a better one-two punch: scaling-meets-performance. Neo has a coding upper hand as well, running smart contracts in all the widely used coding languages. In a nutshell, all worldwide programmers can easily write apps to smart contracts with Neo’s platform with no need to learn a new coding language. Therefore, the blockchain could bring more developers on board. Could Neo be the underdog in the crypto race that beats the odds? Keep in mind, bitcoin got tripped by regulatory clamp-down in China. 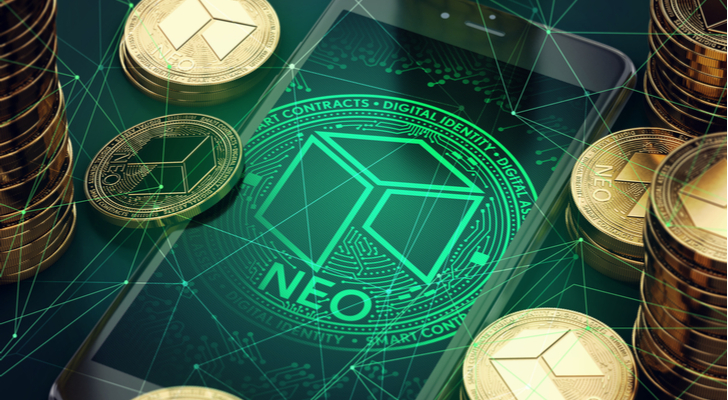 Without regulation obstacles, Neo could pop thanks to this massive market. TipRanks.com offers exclusive insights for investors by focusing on the moves of experts: Analysts, Insiders, Bloggers, Hedge Fund Managers and more. See what the experts are saying about your stocks now at TipRanks.com. As of this writing, Julie Lamb did not hold a position in any of the aforementioned securities. 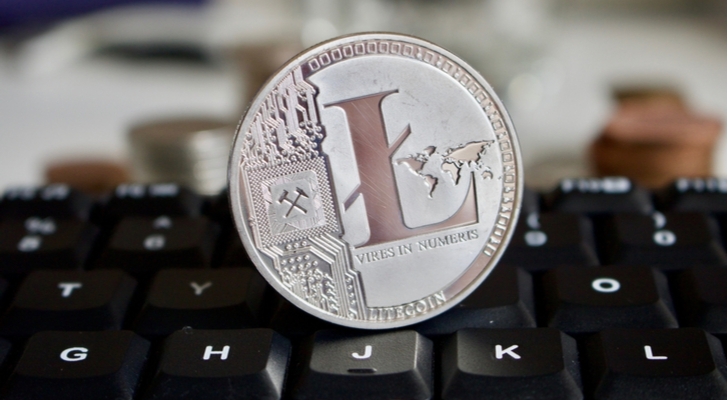 Article printed from InvestorPlace Media, https://investorplace.com/2018/07/5-altcoins-wired-for-a-rally-in-2018/.